Now is the time to try on these Love L750 frames virtually using your webcam. Here you can instantly turn your screen into a virtual mirror and see how you look wearing these trendy new frames. See how you look today. 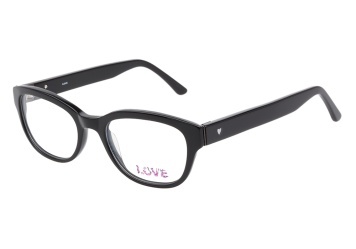 Lens Width 50mm Bridge (Nose) Width 19mm Temple (Arm) Length 140mm Lens Height 35mm Love L750 Black • Progressive Eligible: Yes • Gender: FEMALE • Manufacturer: Love • Material: ACETATE • Color: Black • Spring Hinges: No Love L750 Black eyeglasses have a fun vintage look. These Retro Wingtip eyeglasses come in glossy black acetate perfect for smaller faces.